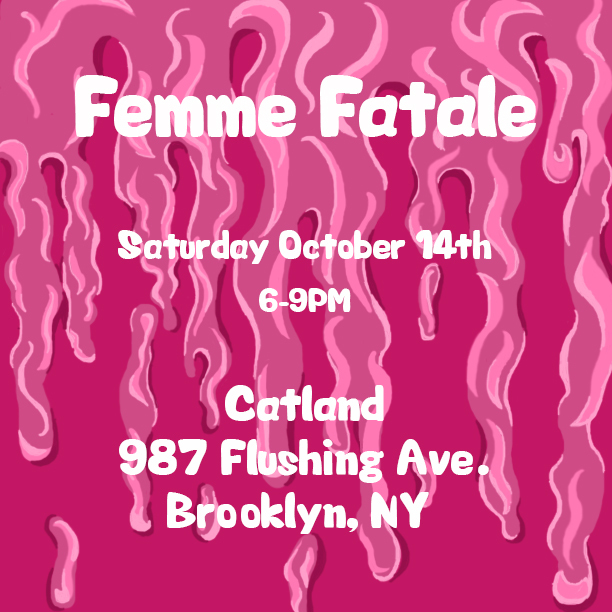 "Femme Fatale" is a group art exhibition, comprised of multiple artists each working in a different medium. Each artist contributed different works expressing the idea of "femme". Every piece can be seen and interpreted in many ways through the eye of the artist and the viewer. Throughout time society has always claimed that women had to look, speak, and act a certain way in order to be considered a "real woman". This construct has seeped into society changing how women behave when truthfully there is no wrong or right way to be considered a woman or female. You are a woman if that is what you choose/want to be. By joining together, these artists and their work is an exploration of what it means to be femme not by society's standards, but how they perceive their femininity.